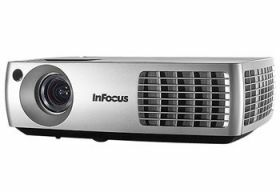 The InFocus IN3104 digital multimedia projector provides meeting room presenters with a bright of 3500 lumens with a 2000:1 contrast ratio and the true-to-life colors of DLP® with BrilliantColor™ technology. 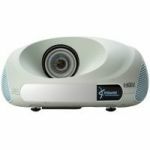 This XGA native projector features DisplayLink content-over-USB for fast setup and the subtle sophistication of LiteTouch™ control to stealthily blend into your meeting space. 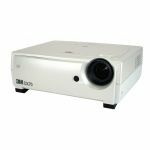 The IN3104 provides exceptional performance and image reproduction due to InFocus advanced tuning of DLP® with BrilliantColor™ technology. 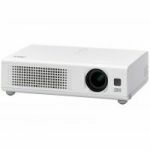 3500 lumens offer the brightness to shine through the most powerful overhead lights in your meeting space while the 2000:1 contrast ratio provides outstanding image depth and detail. The IN3104 is easily ceiling-mounted, supports table-top and rear projection, and is compact enough to move from room to room. 2 x 3 watt speakers provide the audio muscle to amplify your brilliant presentation. When installed the IN3104 features 30 degrees of vertical digital keystone to optimize the image courtesy of remote control. DisplayLink™ technology transmits audio & video content over USB, offering the simplicity of zero display setup – just connect and present in seconds. Combined with HDMI, VGA, Composite and a Wireless-Ready port for LiteShow II Wireless the IN3104 will project from any cable or wireless computer. Additionally the glossy backlit top panel of the IN3104 hides a touch-sensitive LiteTouch™ control panel which takes the place of a traditional button array to create a sleek profile for ceiling installations. The IN3104 is protected under factory warranty for 2 years from date of purchase. The projector lamp has a 6-month warranty from defect or premature failure.